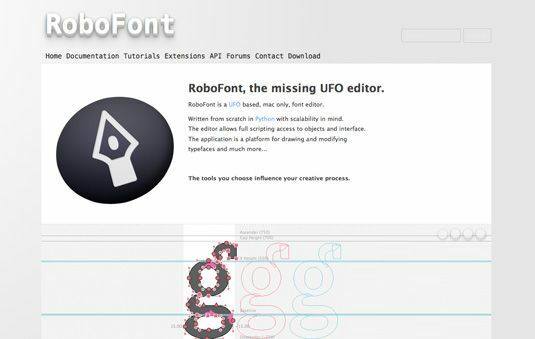 RoboFont is a UFO based, mac only, font editor. Written from scratch in Python with scalability in mind. The editor allows full scripting access to objects and interface. The application is a platform for drawing and modifying typefaces and much more… The tools you choose influence your creative process. FontLab Studio 5 is our professional font editor for macOS and Windows. Used by Adobe, Apple, IBM, Microsoft, Monotype, Morisawa and almost every other major font foundry in the world, it is the comprehensive solution for font foundries, professional type designers, typographers and graphic design studios, allowing them to design typefaces and create or modify fonts. FontLab Studio 5 offers a complete integrated workflow for professional font creation, from font family management, through multilingual glyph design and accelerated spacing and kerning, all the way to automatic and manual hinting and Python scripting. It supports all major outline font formats, from OpenType and TrueType to PostScript Type 1 and Multiple Master. There are a multitude of new features to make designing type easier. Performance is spectacular. Every function has been re-thought to make your tasks of creating and editing fonts more fun and quicker. Yet keyboard shortcuts from FontLab Studio were kept wherever possible. Why are we doing an open, free public preview? It is nearly feature-complete, but there are many bugs and issues, and we want your input on both user interface and functionality. The tool is for you, so we want your feedback! An affordable font utility that allows users to visually edit the contents of tables in TrueType and OpenType fonts. DTL OTMaster is here! It’s a major advance in font proofing and table-editing for Mac and Windows. DTL OTMaster (OTM) is a highly sophisticated application for reviewing, editing and altering tables and contours of OpenType fonts (.otf and .ttf), TrueType fonts (.ttf) and TrueType Collection (.ttc) fonts, including CID-keyed OpenType fonts, CJK (Chinese, Korean, Japanese) and complex-script (Indic, Arabic etc.) fonts, and all the competing color OpenType font extensions: Microsoft “COLR”/“CPAL”, Adobe “SVG ”, Apple “sbix”, and Google “CBDT”/“CBLC”. The Light editions of DTL Bezier- and IkarusMaster basically only have one major restriction: not more than 256 glyphs can be stored per editable glyph database. Changes in larger glyph databases, like for instance in the included FM Demo Font, can’t be saved. With the glyph editors it is possible to generate PostScript Type1 fonts for Windows though, and the DTL TraceMaster module is fully functional. The Light edition of DTL CompareMaster can be used for a detailed comparison of PostScript Type1 fonts, i.e. of contours, metrics and hinting. Output options include either summarized or extensive text ﬁles, and PostScript plot ﬁles. Please note that the fully functional editions of DTL CompareMaster support OpenType CFF (.otf) fonts besides the PostScript Type1 format also. LeMo is a ﬁrst step towards the automation of type design processes, based on the underlying models for grapheme systems. Sliders can be used for parameterized altering the letterforms. Modiﬁed letters can be saved in the BE and IK formats and further processed in the included glyph editor, or with DTL Bezier- and IkarusMaster (Light, see above), or exported as EPS and SVG ﬁles. More info can be found on the LetterModeller website. The 3.1 edition contains an enhanced glyph editor now, but this works in one direction; it can only be used for a newly-generated LeMo glyph database (the ﬁle can’t be re-opened). LeMo 3.1 can export (currently unhinted) CFF- and TrueType-based OpenType fonts too, which makes it a nice tool for for instance pattern-testing. For hinting respectively the autohinter of the AFDKO or ttfautohint can be used (see the Read Me ﬁle in the download), of course. website. In version 5.2 (available for both Mac OS X and Windows), we made Fontographer even easier to use: without specialized knowledge about font formats and font technology, any FOG user is able to create professional-quality fonts. The secret behind this is our own unparalleled font technology know-how? The mature FontLab Studio engine, combined with brand-new sophisticated algorithms, provides the technical underpinnings for the new Fontographer 5. In fact, FOG 5 is even able to read and export FontLab VFB files, so exchanging documents between different font editors is easy! With over 4.5 million downloads to date, FontCreator is the world’s most popular font editor. An advanced feature set makes it the tool of choice for professionals, and its intuitive interface is straightforward enough for users at any expertise level. Create your own fonts, redesign existing characters, add kerning, edit advanced OpenType layout features, and much more. 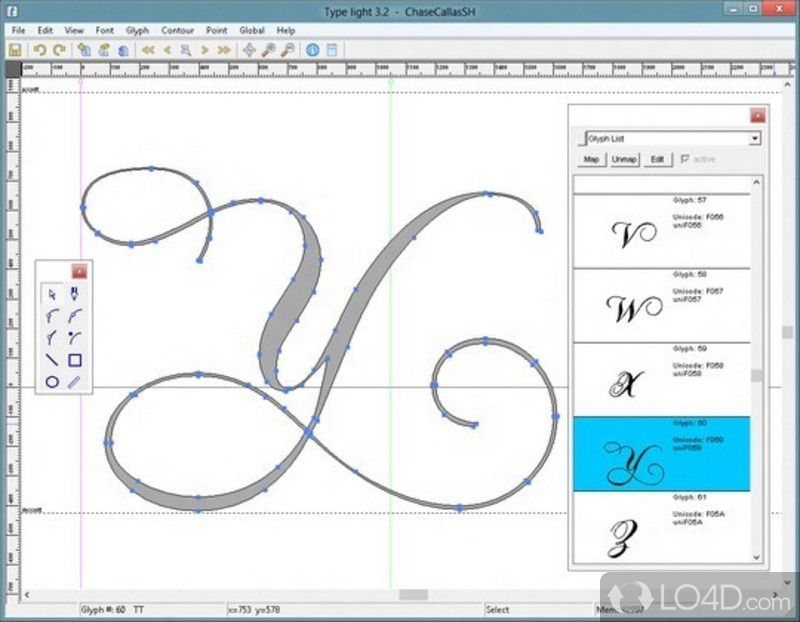 FontForge is a free (libre) font editor for Windows, Mac OS X and GNU+Linux. Use it to create, edit and convert fonts in OpenType, TrueType, UFO, CID-keyed, Multiple Master, and many other formats. If you are designing or editing fonts, then you want software that is compatible with the latest font technologies. Type 3.2 provides you with an easy to use and effective solution for creating, editing and converting fonts. If you are new to font creation then Type light (freeware) is also available as your entry point into the typographic world. A fully functional, freeware OpenType font editor. With Type light you can design, edit and convert OpenType TrueType and PostScript fonts. As a light version of Type 3.2 font editor it is your ideal package for entering into the world of font creation. Type light is free for personal and limited commercial use (if you classify yourself as a business, then you will need purchase Type 3.2 full version). Please read the license. The OpenType SVG Font Editor is a Universal Windows Platform (UWP) app for embedding SVG glyphs in an OpenType font. It was designed to simplify the process of creating SVG-based icon fonts, with web and app designers in mind. It can be considered a simpler, GUI-based version of the addSVGtable tool by Miguel Sousa of Adobe. Both of these tools use OpenType’s ‘svg ‘ table to include SVG content in the font file. This project was originally developed by Microsoft interns Alice Wen, Anya Hargil, and Julia Weaver. While we hope you find the tool useful, Microsoft makes no guarantees about the quality of the app or the fonts it generates. TypeTool is a basic font editor for Mac OS and for Windows. For students, hobby typographers and creative professionals who occasionally need to create or customize fonts. Create new fonts or modify existing fonts, open any fonts installed on your system. Open and generate PostScript Type 1 and TrueType fonts. TypeTool includes support for OpenType fonts with up to 65,000 glyphs, Unicode 5.0 support, new bitmap Background and outline Mask layers, improved Bézier drawing with open contours and tangent points, multi-line metrics and kerning editing, superb screen quality autohinting, better printouts, and much more. Black-and-white movies are wonderful — but fortunately, Hollywood has discovered color many years ago. Color fonts, however, are still in their infant days. They come in several flavors and work natively only in a few apps. With our free FontLab Pad app, all these fonts work everywhere — on all versions of Mac OS X and Windows! FontLab Pad is our typesetter helper for color fonts. 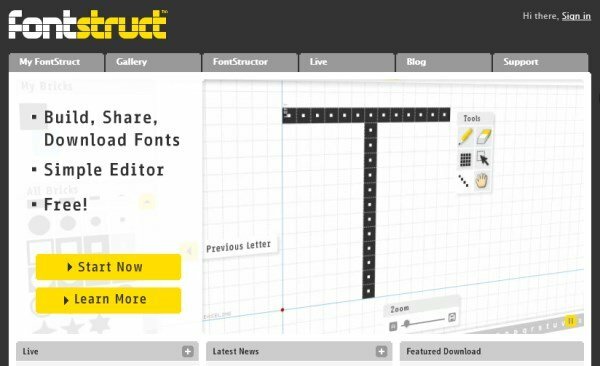 FontStruct is a free, font-building tool sponsored by FontShop. With FontStruct you can easily create fonts using geometrical shapes. 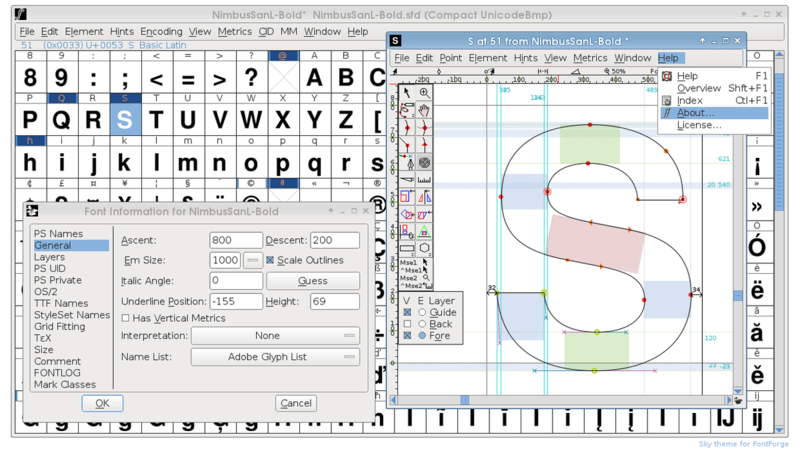 You create “FontStructions” using the “FontStructor” font editor. Once you’re done building, FontStruct generates TrueType fonts, ready to download and use in any application. You can keep your creations private, but we encourage users to share their FontStructions. Explore the Gallery of fonts made by other FontStruct users. Download them, or clone them and make your own variations. The easiest way to get started with the FontStructor is to watch the intro screencast or read the quick start guide. Creating a prototype for an original typeface, a custom logo for your brand/client or experimenting with type design ideas has never been so easy. The basic set starts with Prototypo Fell, Prototypo Grotesk, Prototypo Elzevir and Spectral. Prototypo lets you tweak over thirty parameters such as thickness, aperture and roundness. You can also fine-tune the serifs separately. Your fonts can be exported to .otf format that can be installed on macOS, Windows and Linux to be used in any desktop application, or displayed on a website in any browser. 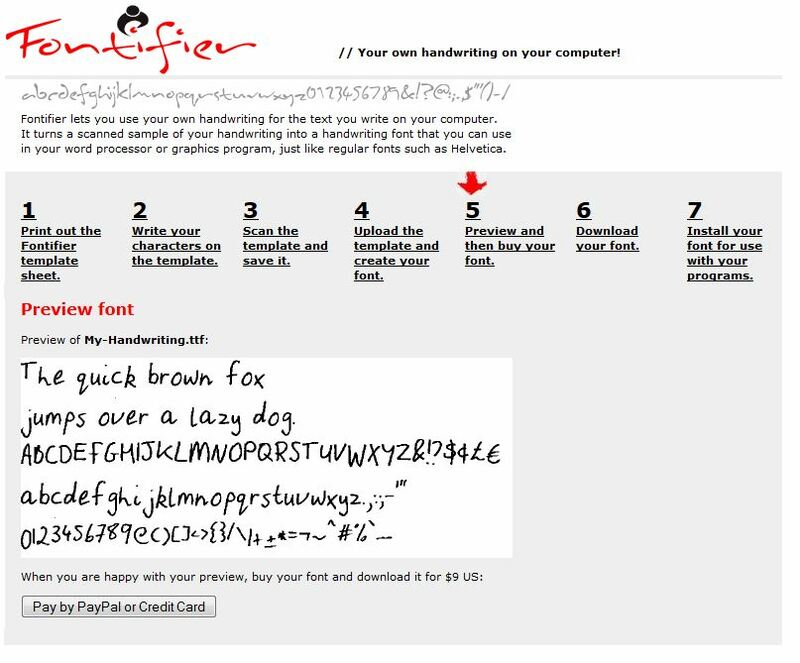 Fontifier is an online tool that allows you to create a TrueType font from your own handwriting. You can preview your font for free but you have to buy the font for using it in your projects. YourFonts is an online tool that lets you generate OpenType fonts from your scanned handwriting. Like Fontifier, font preview is free and you need to purchase the font for using in your projects. 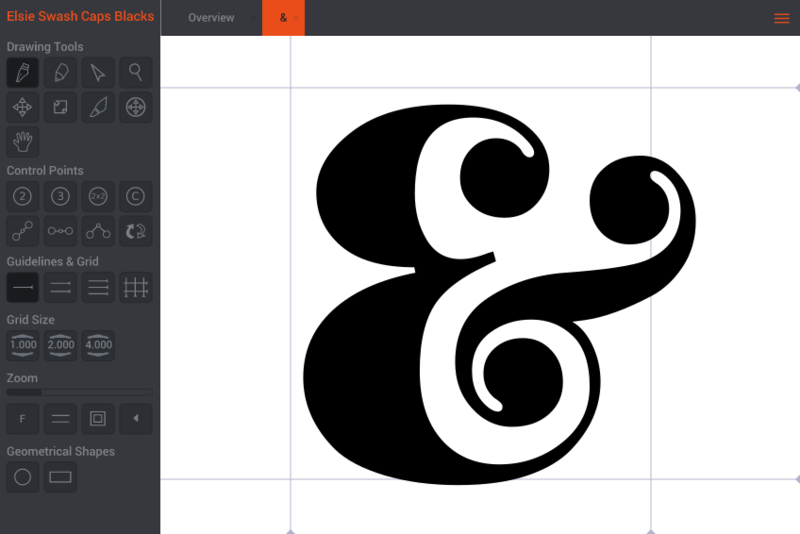 Glyphr is a free HTML5 based font-editor. You can either explore a work in progress font or create your font from scratch with Glyphr Studio Online. 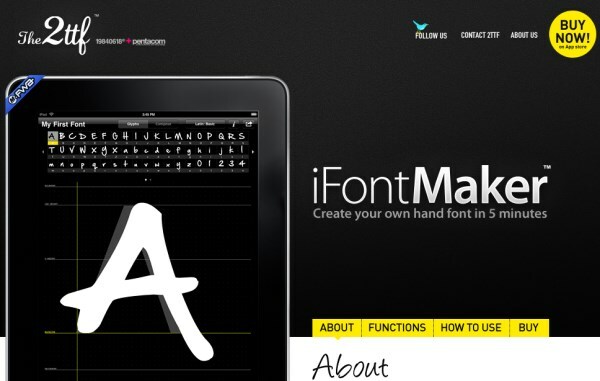 iFontMaker is a downloadable application available for iPad and Windows 8. Using its free-hand font editor you can either create your font from scratch or edit the existing ones. You can convert it into a TTF file and use in your projects. FontArk is a browser-based type design and font creation tool. With features like real-time multiple glyph editing system and automatic outline generator, you can easily create your own font and download it as .OTF file. Transform your handwriting or calligraphy into a font! 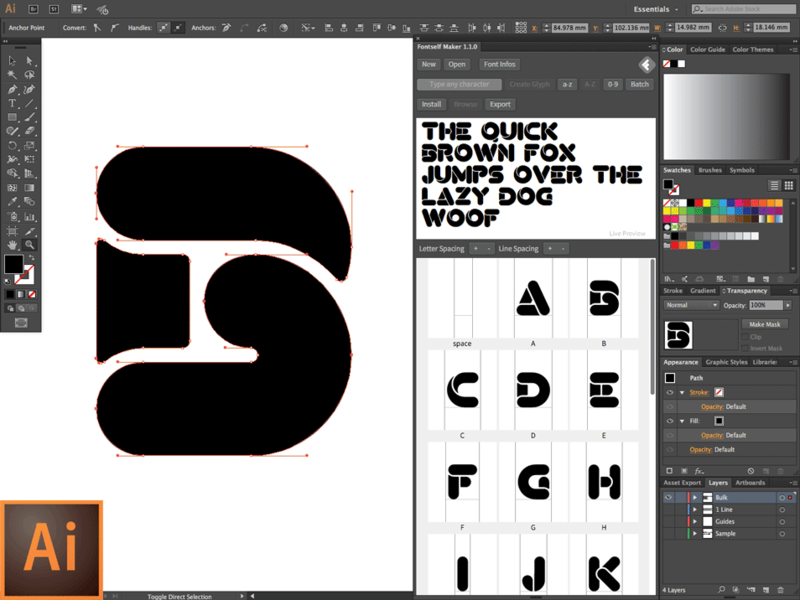 Create fonts, the easy way – in Photoshop & Illustrator CC. Fontself Maker is an add-on for Photoshop & Illustrator CC that brings you font creation superpowers. Enjoy a new skill in your next graphic / web / mobile / print / icon / UI / UX projects! BitFontMaker2 is a browser-based pixel-font editor that you can use to edit and create bitmap fonts. You can download your fonts as TrueTypeFont, you can also upload your fonts to their gallery. gbdfed lets you interactively create new bitmap font files or modify existing ones. It allows editing multiple fonts and multiple glyphs, it allows cut and paste operations between fonts and glyphs and editing font properties. The editor works natively with BDF fonts. Han Bitmap Font format (HBF) fonts. Linux console (PSF, CP, and EGA/VGA) fonts. OpenType (OTF & TTF) fonts (using Freetype 2). A font from the X server. HEX fonts (see online help). gbdfed also supports creating and editing 2, 4, and 8 bits-per-pixel gray scale strikes (bitmap typefaces) that can be embedded in OTF fonts (see EBLC/EBDT/EBSC tables in OpenType spec). gbdfed requires GTK+ 2.6 or later to compile and run. This program has been built and tested briefly on Mac OS X 10.4 and 10.5. It does not yet compile and run properly on Windows. 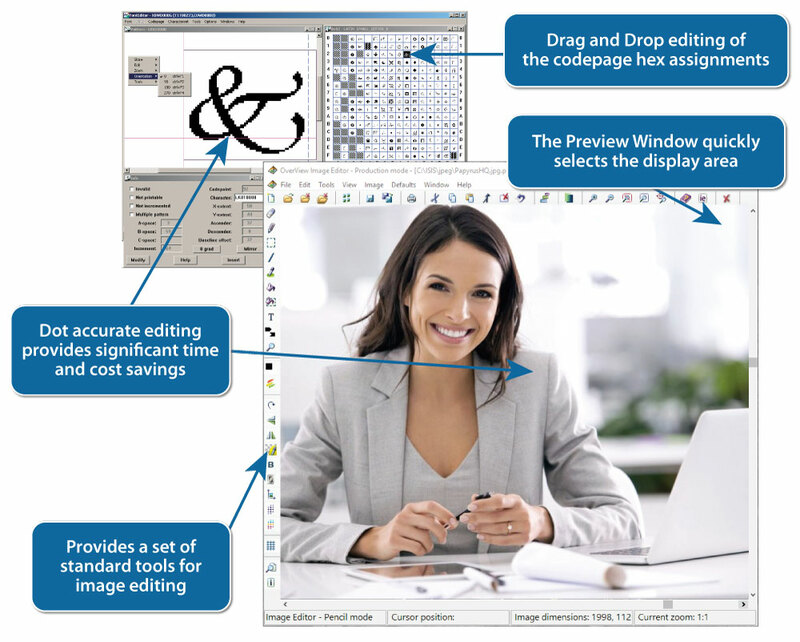 Raster Font Editor is am easy-to-use font editor for the creation of bitmap fonts. It supports several file formats and has a very simple yet fully customisable user interface. The application can open font resource files (*.fnt) created by other tools such as Borland’s Resource Workshop. It can import DOS 8×16 fonts, fonts from BMP images and can convert TTF fonts to raster fonts. This is a beta version and does not contain any help. It is fully working though and we trust you can use it and start creating fonts immediately. DoubleType is a type designer (font editor) that builds TrueType font files. Thanks to Java, it runs on Windows, Linux, & Mac. Glyphs are stored in XML based file to aid teamwork. Efficient glyph design by combining existing glyphs and modules. Sib Font Editor supports .fnt and .fon bitmap fonts. 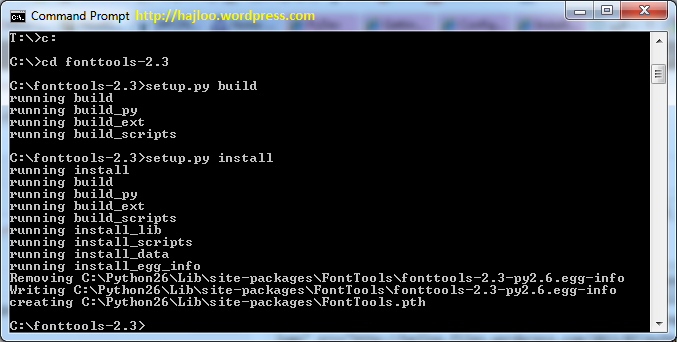 It can save a font of one type to another and also can add a font to one more .fon file. With the help of export and import features, you can insert bitmap images as symbols and save a given symbol into a bitmap file. The tool can quickly change font properties, including name, copyright, symbol width, height, zero level, index of the first and the last symbol. You can also view the font’s header at any time. fontTools is a library for manipulating fonts, written in Python. The project includes the TTX tool, that can convert TrueType and OpenType fonts to and from an XML text format, which is also called TTX. It supports TrueType, OpenType, AFM and to an extent Type 1 and some Mac-specific formats. The project has a BSD-style open-source licence. Among other things this means you can use it free of charge. 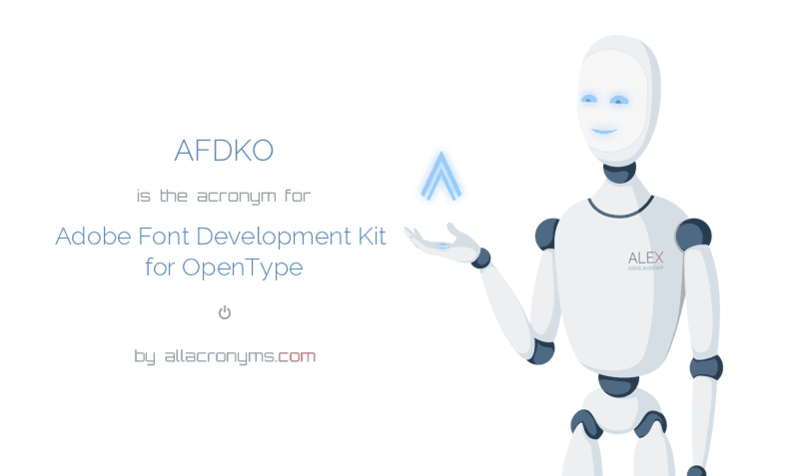 The goal of the Adobe Font Development Kit for OpenType package is to share the tools used by Adobe font developers for wrapping up PostScript fonts as OpenType/CFF font files, and adding OpenType layout features. These tools are used for in-house development of new Adobe OpenType fonts. We know that they work for the fonts Adobe makes, but have tested only part of what it is possible to express with OpenType. Note that although the FDK directory tree contains a number of Python scripts, none of them can be used by double-clicking on them; they can only be successfully called as commands from a command-line window (the “Terminal” program on Mac, the “cmd” or “DOS” program on Windows). Note also that the AFDKO is for adding OpenType data to existing fully-designed PostScript and Truetype fonts, and for proofing them. It does not offer tools for designing or editing glyphs. The makeotf proofing tools work with TrueType-based source fonts, but the checkOutlines and autohint tools work only with PostScript source fonts or OpenType fonts with Postscript outlines. Windows Private Character Editor works on all Windows, starting with Windows XP. The new Typetester is a WYSIWYG web typography editor. Create, export and share unlimited projects. Font-related tools such as FontLab Studio Python scripts, FontLab .enc files for character sets, etc. Timo Klaavo’s Scaling Edit Tool at GitHub link. CorelDRAW can also generate OpenType fonts, though kerning must be refined in other software. Thank you for the remark. The list is updated.